The caption says, "Halloween is when our costumes are taken off." In the background, a row of people in business suits check their watches, and start unfastening their neckties and buttons. 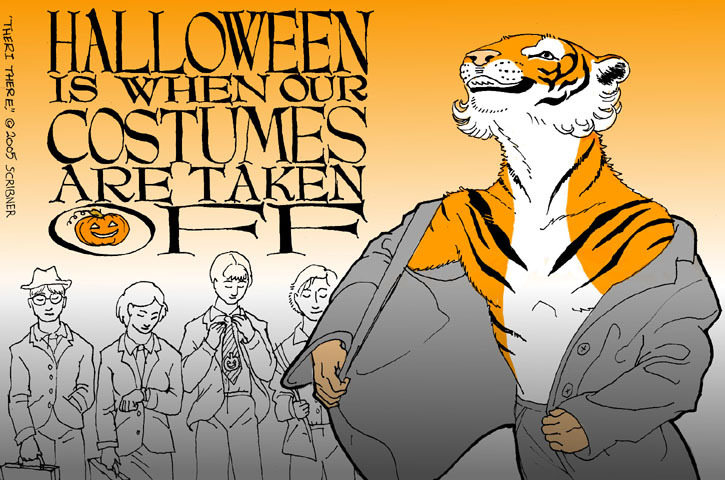 In the foreground, a businessperson removes their blazer, transforming into a tiger with an optimistic smile. Please chip in on Patreon.